After Ji Chang Wook’s agency announced their position regarding SBS’s content, the broadcast station have to publicly apologize to the actor. After the special documentary made by SBS about the Burning Sun situation was aired under the name “Burning Sun Gate”, the audience is shocked once again when the image and information showed snippets of Ji Chang Wook’s relation with the club. Ji Chang Wook, who is one of the talented, famous and well-known for his no-scandal career, suddenly got pulled into one of the biggest scandal in history of the entertainment industry. 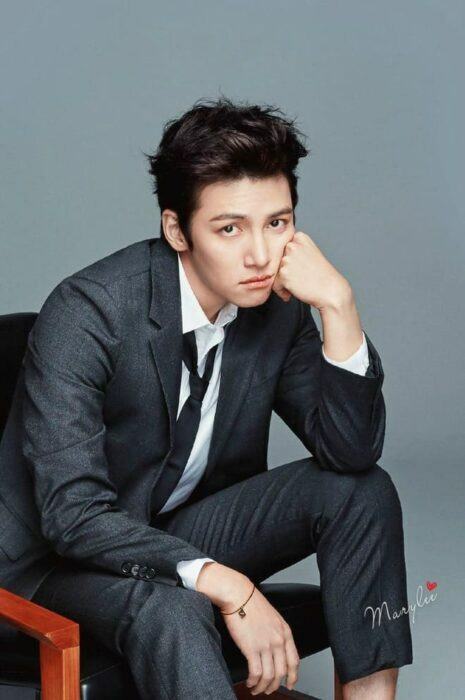 Through just a photo and some information on SBS’ documentary, Ji Chang Wook – who is currently in the military – and his image is severely affected. His agency has voiced out about this. The photo of Ji Chang Wook with Madame Lin confused everyone after SBS’ documentary was aired. After receiving a response from the company as well as the reaction from fans, SBS had to apologize to Ji Chang Wook for using the image of the actor without blurring which caused misunderstandings. Because the documentary is mainly about Madame Lin – an investor of Burning Sun, and Ji Chang Wook is just one of the people taking photos with Madame Lin and posting photos like Seungri and many others. The staff member of “I Want To Know That” for the Burning Sun episode said: “I found Ji Chang Wook’s image on Madame Lin’s personal page. The photo was public so I didn’t censor it. I didn’t realize that this would create any connection with Burning Sun. I’m sorry that the controversy happened. Previously, Ji Chang Wook’s agency also spoke harshly about the image that seriously affected Ji Chang Wook’s reputation, as well as disturbing the actor’s family and fans: “We ask you to stop writing, posting and spreading unfounded rumors about this issue.